Have you always dreamed of living in the Caribbean? Like many island nations, the Dominican Republic casts a spell—especially on those with a spirit of adventure. Attractions include warm, friendly people, natural tropical beauty, and lovely climate with constant sunshine and blue skies. The north coast of the Dominican Republic, Cabarete specifically, has been an expat haven for decades. Cabarete offers one of the most sophisticated lifestyles in the area, with numerous international restaurants to enjoy, and residents from all over Europe, North and South America living harmoniously and enjoying local Dominican culture. If you want to combine the casual beach life with upscale living for months at a time, this is the place to do it. Sea Horse Ranch in Cabarete, Dominican Republic is one of the most exclusive gated communities on the north coast of the Dominican Republic. It has villas for long term rental, as well as short-term vacations. With internationally accredited schools nearby, supermarkets with imported goods, modern English-speaking medical facilities, you can enjoy all of the comforts of home and still experience a different culture and way of life – island life. Contact us to learn more about a lifestyle change that you won’t regret. The post Island Living at its Finest – Year Round appeared first on Sea Horse Ranch. Cabarete is a small but mighty town packed with fun things to see and do. Even with this impressive choice, it’s always fun to go on an adventure and explore. Our neighbouring city Puerto Plata is just a 30-minute drive away and offers an array of different attractions. In this guide, we share our Five Fun Things To Do in Puerto Plata. The Dominican Republic is rich with history and Puerto Plata is where Christopher Columbus took his first steps on the island in 1492. Fort San Felipe is the only standing remains from Puerto Plata’s early colonial days. Located at the western end of the Malecon on the bay, the fort was built to protect the bay from being seized by pirates! Entry is RD$100 and includes a full audio tour. Opening times are Monday – Saturday, 9am-4:45 pm. We recommend taking a camera and a picnic as the grassy area in front offer spectacular views of the bay. Standing at 2,600 feet above sea level, it’s hard to miss Mount Isabel de Torres. You can either hike your way up or take the cable car. Both offer spectacular views of the ocean, city and greenery. Once at the top, you’ll be greeted by the famous Christ the Redeemer statue and the beautiful botanical garden. The cable car operates Monday to Sunday, 8:30 am – 5:00 pm and costs just RD$350 for adults, RD$200 for children 5-10 years old, and free for under 4-year-olds. You can find out more in our guide to the Teleferico Cable Car. This makes for the perfect morning pre kite, post surf trip as you often beat any clouds and get a clearer view. Alternatively known as the Amber Coast, the north coast of the Dominican Republic has the largest amounts of amber deposits. Some of this amber dates back millions of years and even contains fossils. Considered to be the finest amber available in the world, the amber museum exhibits various types, how it’s formed, the history and a gift shop. They offer guided tours in several languages Monday to Saturday 9 am to 6 pm. Find more info on the Amber Museum website. If you’re looking for a little more adrenaline, the 27 Waterfalls provide just that. Located on the other side of Puerto Plata city, you can slide down chutes, jump from canyons and swim through fresh emerald pools. There are a number of tour operators in Cabarete that you can use such as Kayak River Adventures and Iguana Mama Adventure Tours. If you’re feeling adventurous, you can drive, take a taxi or public transport. They are open daily 8 am – 3 pm and it costs RD$700 to do all 27 waterfalls. This price includes a life jacket, helmet and trained guide. To find out more about canyoning near Cabarete, check out our full Canyoning Near Cabarete Guide. It’s no secret around the globe that the Dominican Republic is home to some of the best rum. Brugal was first on the scene in creating the DR’s first aged rum. This experience is certainly tasted through all their rums and you can learn and taste it for yourself at the Brugal Rum Tour. All of the tours are offered in various languages and cost US$5. They are open 7 days a week, Monday to Friday 8 am – 4 pm, and Saturday to Sunday 8 am – 12 pm. What are your favorite things to do and see in Puerto Plata? Let us know in the comments below. The post Five Fun Things To Do in Puerto Plata appeared first on Better Than a Hotel – Cabarete Palm Beach Condos. Find out more about and join in on the cultural celebration! It’s carnaval season and we can’t wait for the celebrations to come to Cabarete. Throughout the month of February, carnavals happen every Sunday in different cities in the Dominican Republic. The Cabarete Carnaval is slightly different and takes place in March, but offers a much more family-friendly, tranquilo carnaval than the others. The first of these carnavals date back to the year 1520. Since then, they’ve been an important tradition for Dominicans as a way to express their culture and identity. Each one of the costumes are handmade and brightly coloured to symbolize religious and traditional characters. You’ll definitely want to bring your camera as these costumes combined with the dancing, art and music are truly spectacular. One of our favourites to watch and hear are the ‘Diablos Cojuelos’. These are easily recognizable with their impressively loud whips. You can definitely hear them before you see them! This year the carnaval takes place on the 17th of March 2018 and starts at the Callejon at 3:30 pm. It then proceeds through the main street, onto the beach at Carib Wind, then loops back on to the beach past the bars and restaurants. We recommend getting your spot early as once the carnaval has started, traffic will be unable to pass through the town. It’s also a popular event for families so you can get a table early, order your food and drinks and enjoy the carnaval pass right by your table! Check out Cabarete Carnaval Facebook and Instagram for more information and photos. And don’t forget to tag us in your carnaval photos! Share your favorite thing about Cabarete carnaval in the comments below. The post Join In On The Cabarete Carnaval Celebration appeared first on Better Than a Hotel – Cabarete Palm Beach Condos. Summer Camp at Sea Horse Ranch begins in June for children ages 6-12. 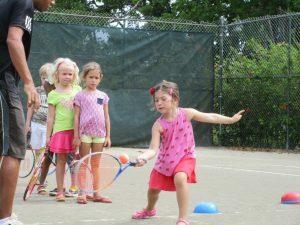 Held every year at Sea Horse Ranch, Summer Camp includes activities such as Tennis, Swimming, Surfing, Horseback Riding, Day Trips, Arts & Crafts, Soccer, Water Games, Spanish Lessons and more. Summer Camp at Sea Horse Ranch is popular for vacationers and long-term residents alike. Guests staying at Sea Horse Ranch are eligible for special discounts, please contact our concierge team for more details. 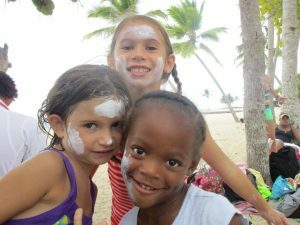 Field trips, fun, and adventure await at this fun Summer Camp for kids in the Dominican Republic. Hours for Camp are from 8:30am-4:00 pm, Monday through Friday. Weekly rates and family discounts are available. Summer Camp will be held from June 25 – July 27, 2018. The post Summer Camp at Sea Horse Ranch appeared first on Sea Horse Ranch. Want to drive around Australia? Have enough money to buy or rent a campervan and keep the fridge stocked and the petrol full? Have a good sense of adventure and a willingness to put a few hours behind the wheel? Well, if you do, you’re all set for an Australian adventure. Before we had kids, Micki and I had the amazing opportunity to spend six months driving around Australia in a campervan that we had bought and outfitted ourselves. By the sixth month, we had put over 25,000 kilometers on that campervan, driving from Adelaide in South Australia, up through the untamed Outback in the center, then up to Darwin in the north, before crossing over to Cairns, and finally down the east coast of Australia to Sydney. Even after spending years bouncing around the globe, it was an unforgettable adventure and still one of our favorite travel highlights. Australia is the perfect country to drive a campervan or RV, since it has huge spaces and plenty great RV resorts, or Holiday Parks, as they’re often locally known, in nearly every town. 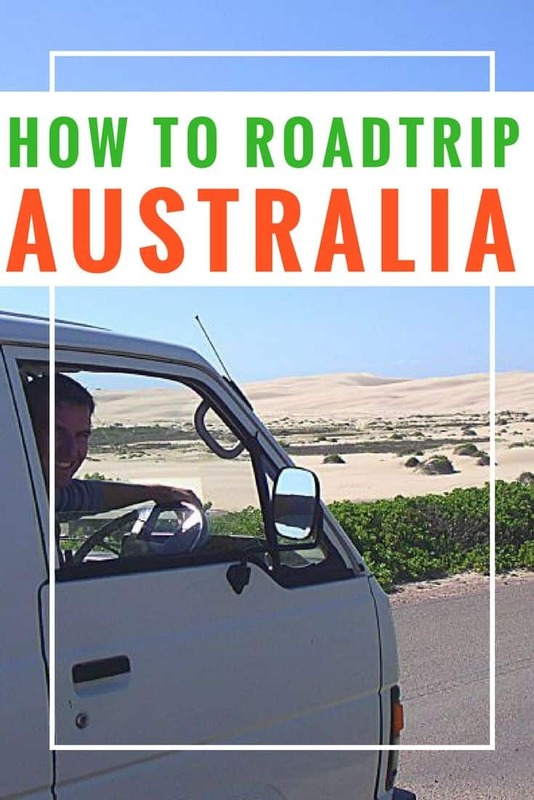 I think that an Australia road trip is probably the best way to see the land down under, especially if you want to see more than just the big cities and get to know the real Australia. The funny part about our Australia roadtrip was that our first campervan turned out to be a massive lemon. Sure, we only bought it for a few hundred dollars from a hostel where a previous backpacker had left it and managed to sell it for $50 more than we paid (once we realized it wouldn’t pass a safety inspection). In case you’re wondering, we actually sold it to a guy fixes cars, so he profited as well once he fixed it up. The great part about the whole scenario was that the original van was stocked with tons of extra goodies. From an extra camping tent and sleeping bags (helpful when we rented a 4×4 and stayed on Fraser Island) to boogie boards, a portable table and even a nice propane stove that, by the time our trip was complete, we had gotten good use out of nearly everything. So, when we bought our next campervan, for about 20 times the first, we had it totally stocked up without spending an additional penny. 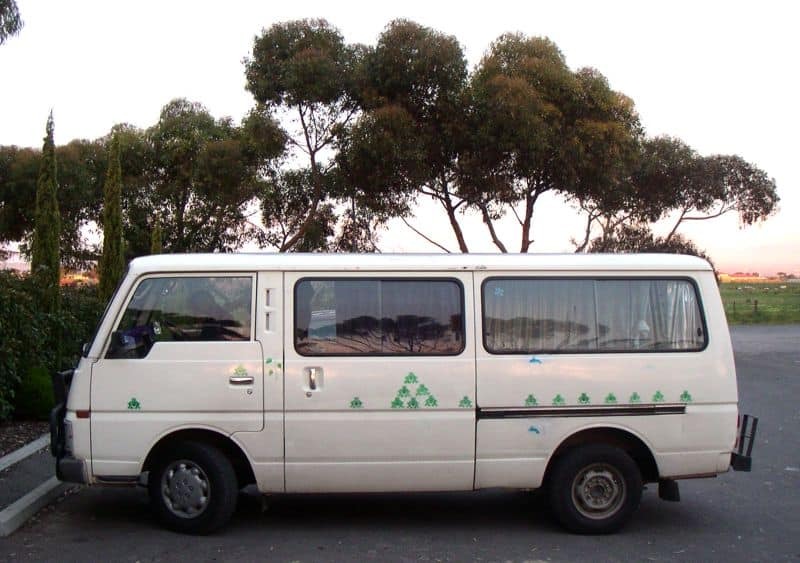 If you’re interested in buying a used Australia campervan, you can check out Gumtree. Not only do they have thousands of Australian campervans, they also have tons of used camping supplies as well to help get you fully outfitted for your own Australia roadtrip. Initial problems aside, driving around Australia was a breeze. Well, that is, once we figured out that not only did we have to get used to driving on the left side of the road, but we also had to change gears with our left hand (ours had a manual transmission) and things are reversed from what we’re used to in North America. Since the gear shift was on the steering column, you have no idea how often we turned on the windshield wipers by mistake. It even became a running gag during our trip. I’m also not going to lie and say that we didn’t almost get into trouble a few times coming off traffic circles (which weren’t used much in North America then). Not having lane markers when you’re first trying to remember to drive on the left can be problematic in itself, but after doing a few circles you kind of revert to what you’re used to when you finally straighten out, which wasn’t a good thing if you’re a right lane kind of person. Outside of that and, oh, the one lane bridges, you should be fine. Just remember to look at what’s coming before you drive over them. Oops. Did I forget to mention having to get off the road when those giant triple trailer trucks they lovingly refer to as road trains pass you by in the Outback? That’s not really a law, but if you value your vehicle (and consequently your life) it’s not a bad idea to get out of their way. To say that back trailer sways a little is like calling Uluru a little rock in the Outback, and those road trains don’t slow down for anything or anyone. Don’t worry though, there aren’t that many of them, and it’s a nice change of scenery from the miles and miles of unchanging desert scrub. Oh, did I mention the kangaroos? Well, you’ll see those for yourself if you drive through the Australian Outback like we did. They’re awesome to see hopping in the distance and don’t worry, you’ll see plenty of them. Just realize that they have no natural predators in Australia and there’s just as good a chance as them jumping into the side of your Australian campervan as you hitting one. You have been warned! We also learned it’s a bad idea to drive most places in the Outback at night. Between the hopping kangaroos, the swaying road trains, wandering cows, an errant camel or emu and an abundance of wild rabbits in certain parts of Australia, unless you know the area well, it’s best to stay completely off these roads after sundown. Of course, if you’re on the coast or in one of the major cities you should be fine driving at night. 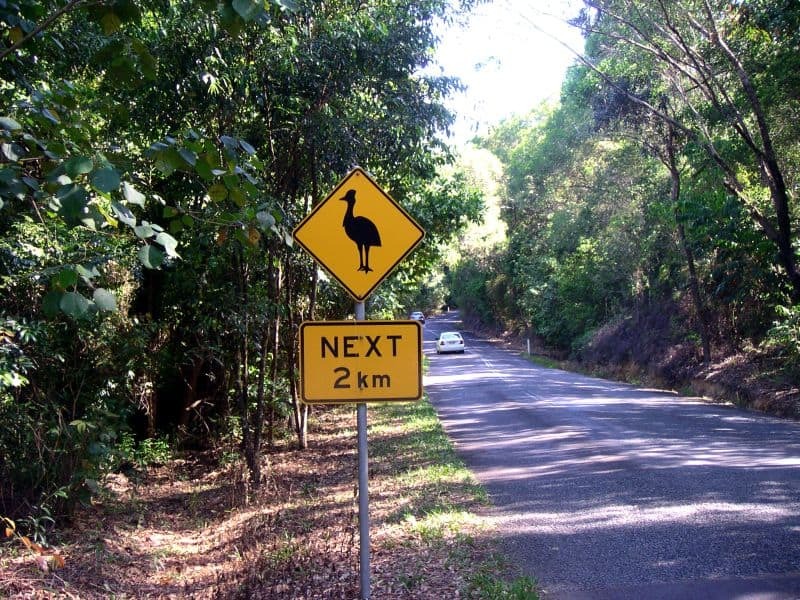 All kidding aside, driving in Australia is easy once you have a few things down pat. Roads in major cities are well marked, and Australia is similar to most countries in regards to road rules and signage. Just realize that each Australian state has its own road rules. You can check them out here if you’re curious. Since 85% of the Australian population is within 50 kilometers (31 miles) of the coast (see our recent post on things about Australia you didn’t know here) there are many places to stay, eat and most importantly, refuel, during your Australia road trip. Once you get into the Outback, things are a little more spread out, so you need to make sure you have some spare gas with you or have a good estimate of how far your campervan or RV can make it on a tank. Luckily, there are usually signs saying how far the next available gas station. Trust us, you don’t want to get stuck in the Outback without fuel. Outback safety tip: If you run out of fuel, or your campervan breaks down in the Outback, stay with your vehicle and wait for the next vehicle to pass by. The blistering heat is your biggest danger so stay hydrated. It might take hours, but someone will eventually drive by who can help you out. It’s also important to realize that smaller towns that only have one gas station could close as early as 4 pm. We spent the night parked in a gas station lot, because we didn’t have enough fuel to make it to the next town, more times than we care to admit. If you’re looking for the cheapest gas in an area, or even how close the nearest petrol station is, you can grab the Motormouth app. Similar to North America’s Gas Buddy app, their Australian user-based system continually lists the current gas prices around the country. It’s also handy when that red light on your fuel tank starts flashing, and you need to refuel your campervan or RV immediately. Even more importantly, since the Outback can get quite hot in the day and cool at night, you don’t want to get stuck without water and food. Make sure you have lots of both when you drive towards the Red Centre. It’s more than likely you’ll be starting your journey from one of the major cities, so make sure to stock up on everything you’ll need at one of the big supermarkets. The farther you go from the big centers, the more costly food becomes and picking up essentials at gas stations is going to hurt the wallet more than a few spoiled or unused food items. I can honestly say that Australia has some of the nicest campgrounds we’ve seen anywhere in the world. Though the cost of some of the Australian campervan parks can be a little pricey, lots of campgrounds come fully provisioned with hotel quality swimming pools, multiple hot water showers and restrooms, huge cooking areas complete with lots of barbecues and even dedicated outdoor TV viewing areas for those not so nice evenings. Some even have trampolines and miniature golf for the kids. Our favorite campgrounds in Australia even featured our own personal shower and washroom area as well as a private cooking area. Staying in those campgrounds was like having a very welcome addition to our campervan, giving us extra room to hang out as well as letting us cook our meals far from our beds. It was also cool to pull into your spot and find out what the little half building next to your pad contained. Important! Australia has reverse seasons to the northern hemisphere. As such, Christmas vacation for Australians lasts two months and nearly everyone is out camping and enjoying the heat in December and January. If you’re planning to be in Australia during these months, I suggest you book your campgrounds far ahead of time, otherwise you’ll be parking on the street or in parking lots. One of the biggest campground companies in Australia, with 180 campgrounds scattered across the country, is Big4 Holiday Parks. They’re among the priciest of the Australian campgrounds however they also tend to have the nicest amenities. If you want to rough it a bit more, you can also find campgrounds throughout Australia’s National Parks. You can search for campgrounds across all the national parks here. For a list of cheaper campgrounds around Australia, check out Explore Australia’s campground list here and the Findacamp site has a great list as well highlighting some of the cheapest campgrounds in Australia. 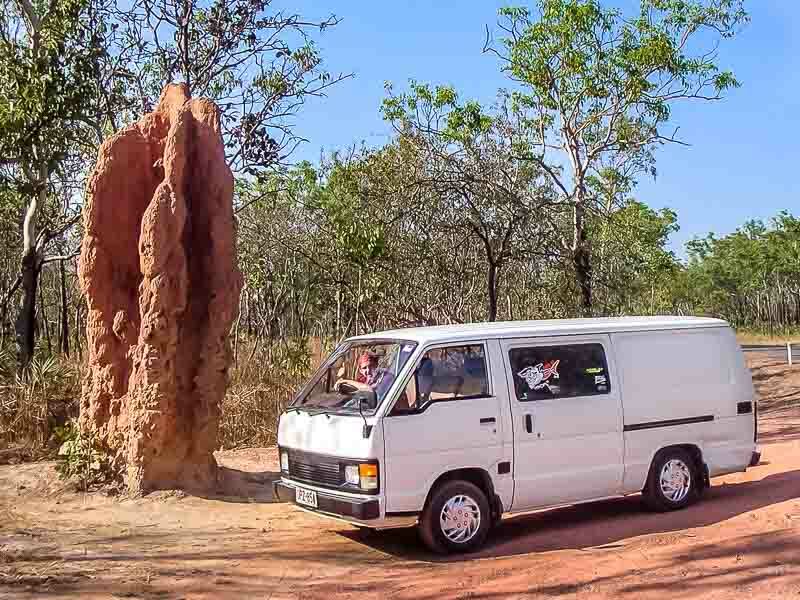 If you’re looking at buying a campervan in Australia, there are certain months when it’s easier and cheaper to buy a campervan in Australia than others. The same goes for renting. December and January are busy across the country, and finding a rental won’t be easy or cheap in these months. If you want to rent, consider going in the shoulder seasons of October or November and February or March. You’ll miss the crowds and added expenses but the weather should still be great. If you’re considering buying a campervan or RV, you also need enough time to pick out your campervan and enough time to sell it. There are tons of options out there from used buying and selling sites to dealerships. You can also check out local hostel bulletin boards (even if that didn’t work out so well for us). When it’s time to sell, you can place an ad or even bring your campervan to one of the local swap meets that specializes in selling vans, campervans and RV’s from other travelers. There should be one in every major city. Just note that there are better and worse times to buy and sell your campervan in Australia depending on the city you’re in. April to July tends to be the worst time of year to sell your vehicle in Sydney, Perth and Melbourne, however those could be great times to buy one. December to June is also bad in northern Cairns and Darwin, and both Brisbane and Adelaide can be tough to sell in year round. We ended up buying our campervan from a local in Adelaide, since there weren’t that many travelers selling theirs when we were there. Vehicle Registration is valid for a year in Australia and usually requires an address. We just used our hostel’s address to sign up and it went pretty smoothly. Depending on the year of the vehicle and where it was initially registered, also note that some vehicles require a safety inspection before they’re allowed to be registered to someone else, so make sure the vehicle is roadworthy before giving over the money. 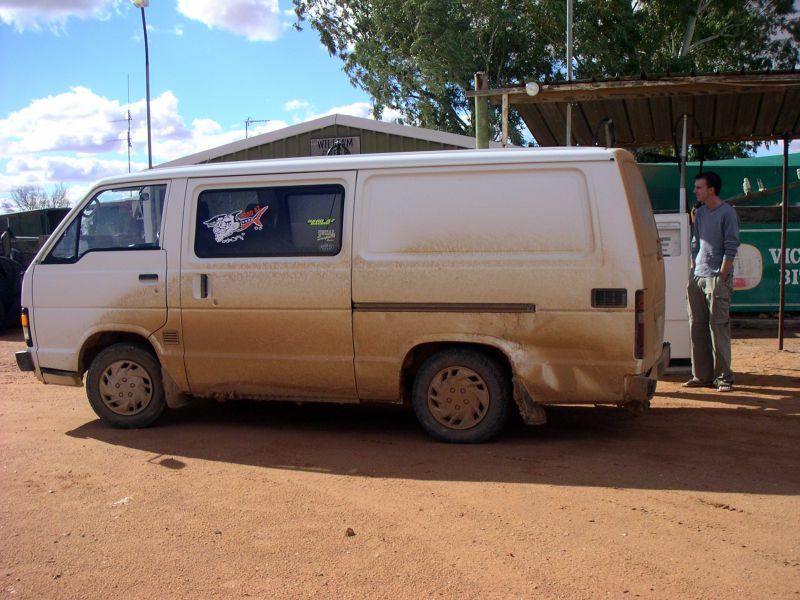 Already have your Australian campervan fully stocked and ready to roll? All you need to do now is pick a route and set a timetable. Are you going to drive The Great Ocean Road in the south past Melbourne and enjoy beautiful beaches and light houses? Dreaming of jumping crocodiles and pristine canyons? Maybe driving from Darwin down to Katherine Gorge is the trip for you? Want your area a little less crowded? How about having a quiet wilderness adventure on the west cost in Western Australia? Still too crowded? 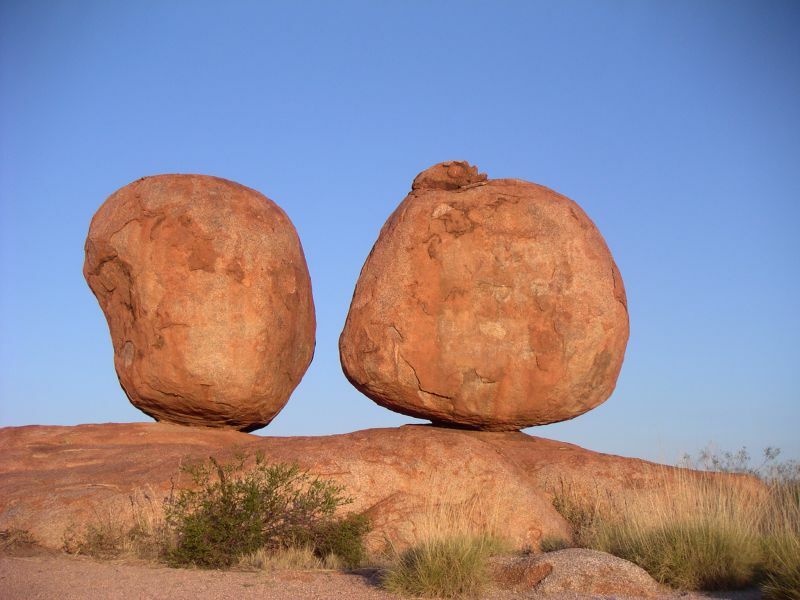 How about checking out the Red Centre and experiencing the wide open spaces of Australia’s outback while you take in iconic sites like Uluru and the Devils’ Marbles? Too remote for you? How about checking out rainforests, the great barrier reef and gorgeous stretches of beach as you live up the beach bum lifestyle in tropical North Queensland? Maybe the mainland is too much for you? All that space giving you pause. Maybe you should check out Tasmania’s rural and natural beauty and check out Tasmania’s sleepy towns and secluded beaches. No matter where you go or which route you decide on, taking a road trip around Australia in your campervan, RV or even just a van will be a memory you’ll keep forever and no matter how long you go for, there will always be something new to see on your next adventure. 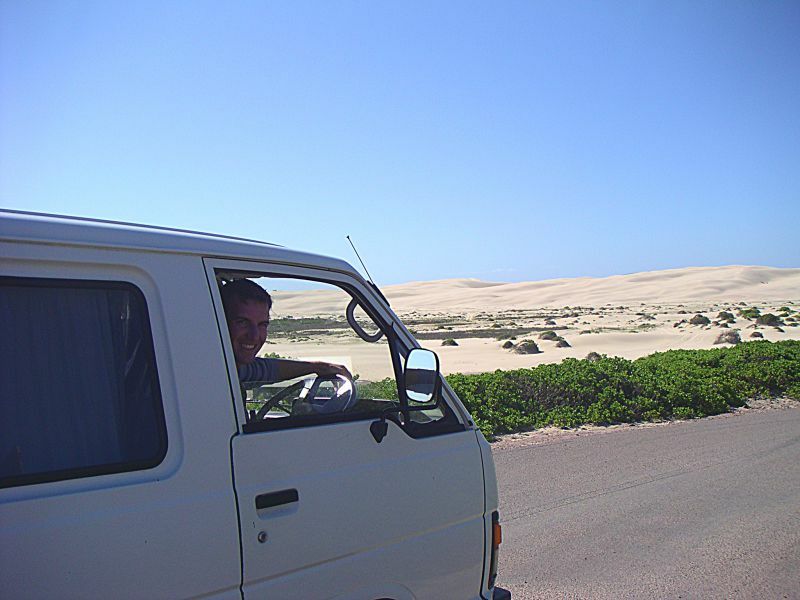 Got a tip about driving a campervan around Australia? We’d love to hear from you. Drop us an email or leave a comment below for everyone to read.